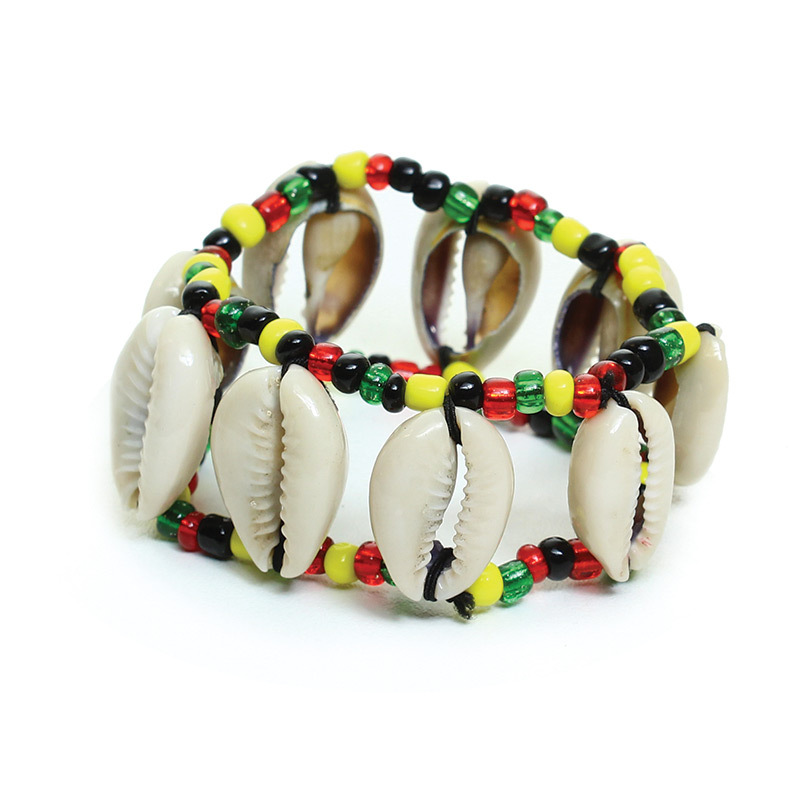 Cowrie shells are an African symbol of fertility and sensuality. Over a dozen of these are meticulously hand strung onto beaded bands at a price that anyone can still afford easily. Elastic band fits any size wrist. Beads can also be red, black and green.